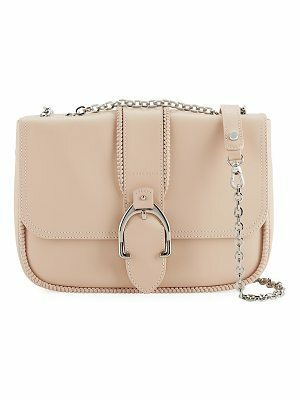 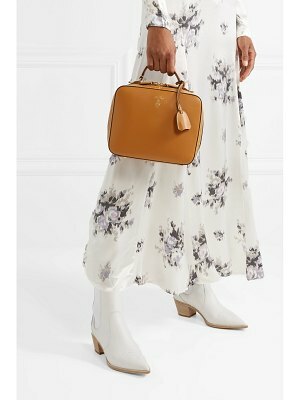 A convertible harness bag named for Tory's childhood horse is made of high-gloss patent leather and sits within a chic matte-leather cage harness, which can be removed for a slight variation on the look. 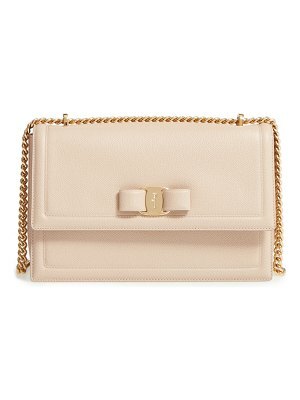 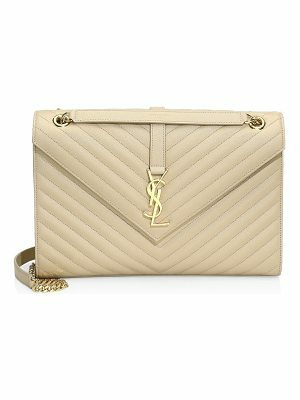 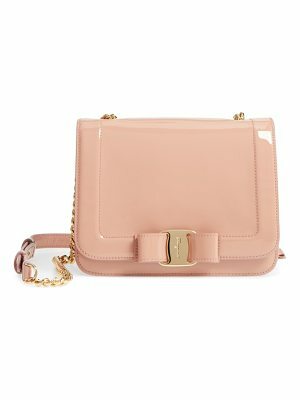 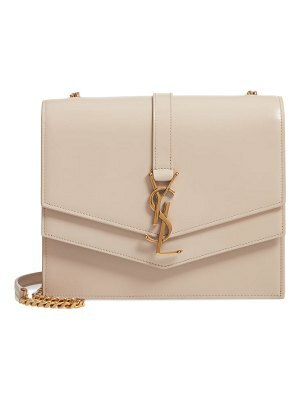 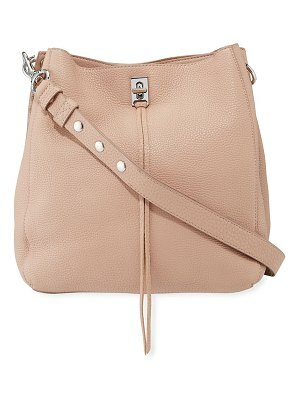 An optional shoulder/crossbody strap adds hands-free carrying convenience, or the bag can be carried as a chic clutch. 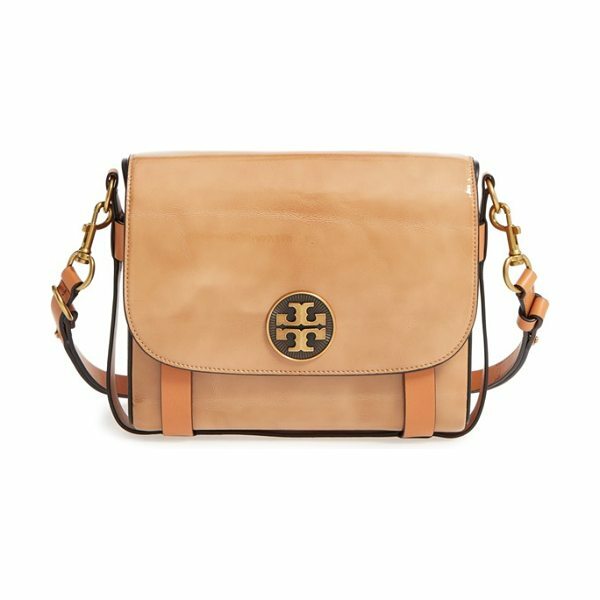 A ray-faceted logo medallion on the flap adds a gorgeous statement finish to the look.